It's been another month of amazing entries. We are thrilled with the participation and with the gorgeous heat embossed cards submitted by everyone. Each entry is truly a work of art and we appreciate you taking the time to share with us at CAS Mix up! Thank you. Below is just a few of the outstanding entries from this month, along with our "Pick of the Month". We hope you enjoyed playing along and that you'll come join us again for a new challenge in June. 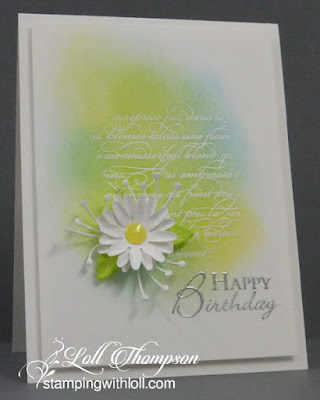 We love the soft watercolour on the vellum that's accentuated by the white embossing. What beautiful shading on the flowers and leaves and all that wonderful white space lets this beautiful bouquet shine. CAS Mix Up perfection! Just a reminder that we've reached the mid-point of the month. 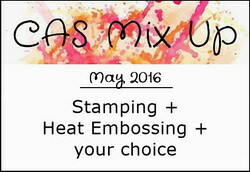 The challenge is open until May 24th, so there's still lots of time to play along with CAS Mix Up's May Challenge - Heat Embossing. We are thrilled with the response to our challenge so far --- thanks to all that have joined in. We are providing some more sample cards to show you how easy it is to add a bit of mixed media techniques or products to your CAS cards. 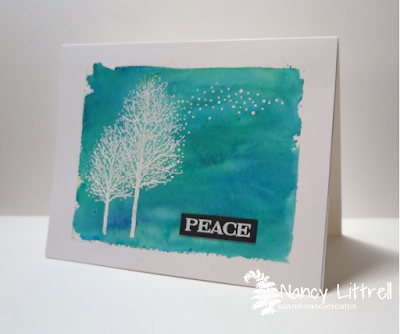 Using stamping, heat embossing (with UTEE and Frantage), and die cut (the sentiment). Here's another YouTube video to watch if you'd like. Creating a Metallic Edge by Gina K. (6.42 min.) 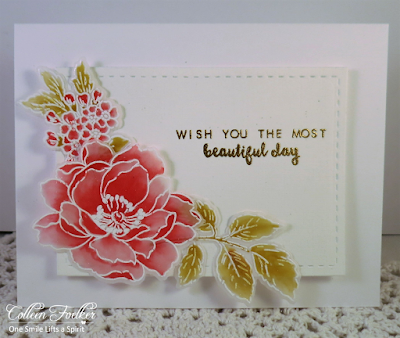 - See Susan's sample card using this technique. We hope our cards inspire you to play along. 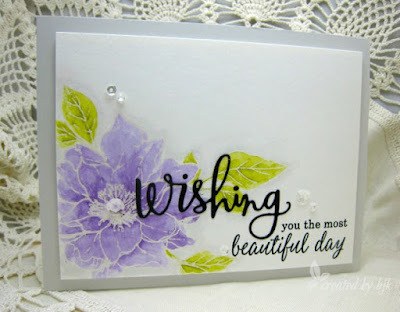 Come link up your CAS Mix Up Heat Embossed cards below. Please be sure your cards are CAS (Clean and Simple). Hi everyone. 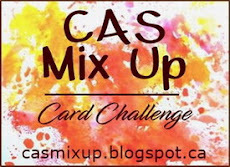 Welcome to May's Challenge at CAS Mix Up! What AWESOME entries in our Stenciling challenge last month. We hope you'll have as much fun this month! We are so excited to introduce two new team members. Both are wonderful CAS Mix Media artists and we know you will be inspired by their creations. First up is Nancy Littrell. 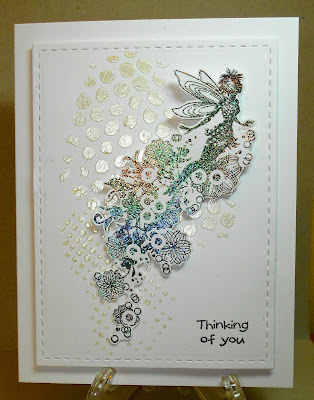 Although Nancy is a new blogger (Scandinancy Creates), she is definitely not new to CAS style cards and Mixed Media. And rounding out the team is Susan Bridgman. 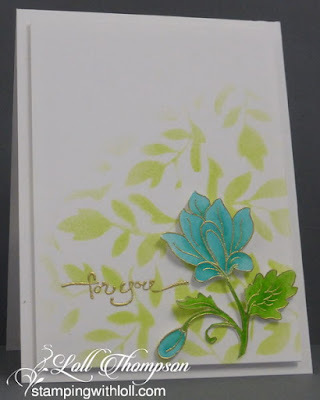 Susan (Cardmaker's Garret) also loves to experiment with and use mixed media on her CAS cards. We know you will be doubly inspired with the addition to our team! 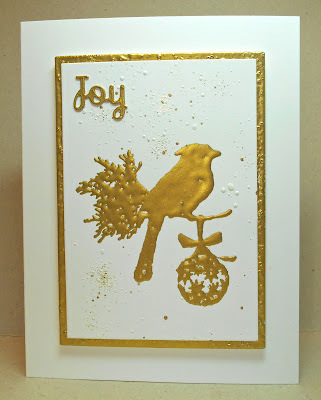 Heat Embossing is adding texture to a project by creating a raised image. 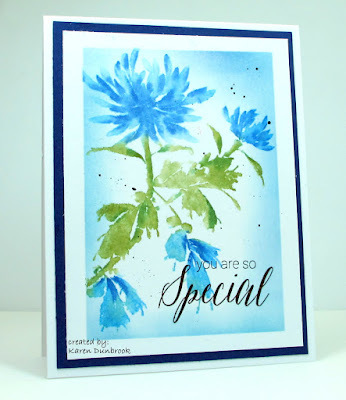 It is usually done by using a slow drying ink on a stamp then adding embossing powder to the stamped image and heating with a special heat tool. We found that you can heat other products to add texture too. Check out our technique videos below. We are thrilled to have Karen Dunbrook (Snippets) as our Featured Designer this month. Karen is an amazing CAS artist and uses mixed media quite often. We know she'll inspire you. And we are excited to have Betty Keefe (Created by bjk) as our Guest Designer this month. Betty made the most amazing card for March's challenge. 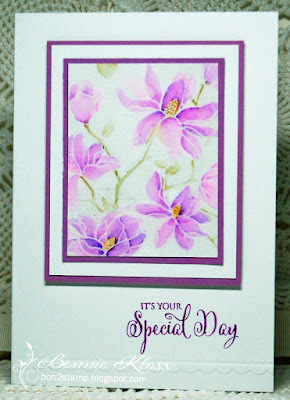 Click HERE to see her beautiful card from the watercolouring challenge. - Emboss Resist by Sage Kimble (2:14) - Easy technique with huge impact. 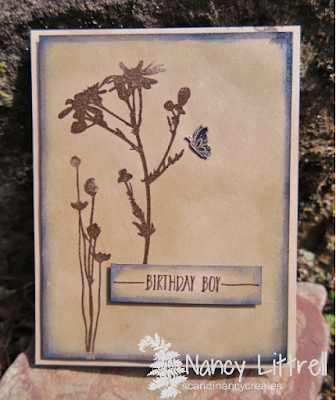 See Loll's card using Emboss Resist for the background, and Nancy's card using Emboss Resist for the main image and border. - Layered Embossing Resist by Altenew (4:34) - Take Emboss Resist a step further. 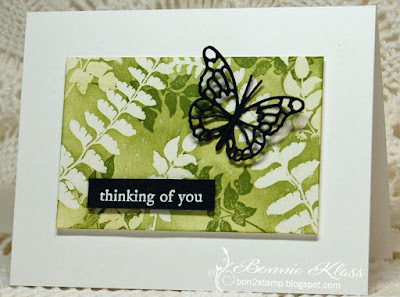 See Bonnie's sample card using this technique. - Faux Metallic by Jennifer McGuire (9:50) - Heat Emboss with Perfect Pearls. The challenge is open until May 24th, so there's lots of time to play along. Come join in the fun!